why my chrome youtube cannot output the sound from speaker but ie can? 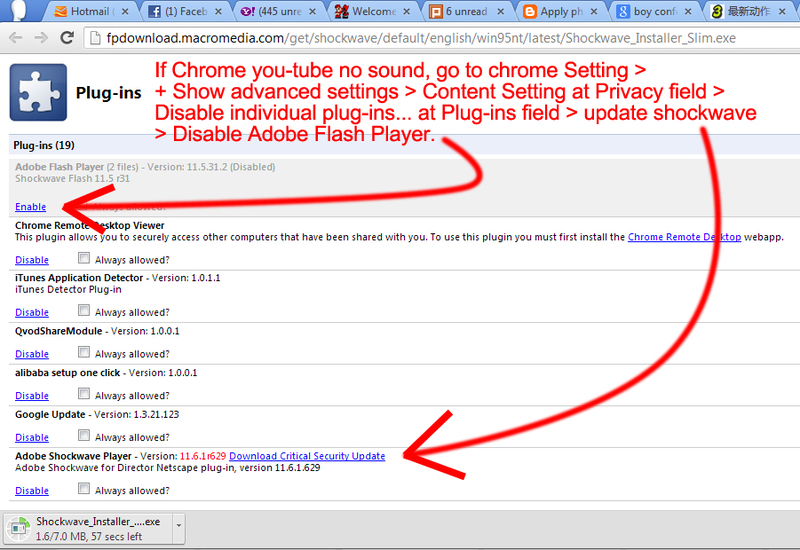 why chrome you-tube can output sound from ear-phone only? what's wrong? confirm is flash / shockwave problem d. Confirm not chrome setting problem d, because fb game and youtube and my flash animated all no sound, qvod player on chrome got sound.